Here is my Collection as of January 21st 2006. It's not massive, but a good start and I expect many more items to find their way in by the end of the year. I'll do another update at the end of February as a comparison. Good job I got my overdraft increased and can exist soley on Beans on Toast. Or egg. Or Carlsberg. I know of at least one other person who has a gargantuan collection of Dreamcast stuff, if you do, send me a pic and I'll post it. 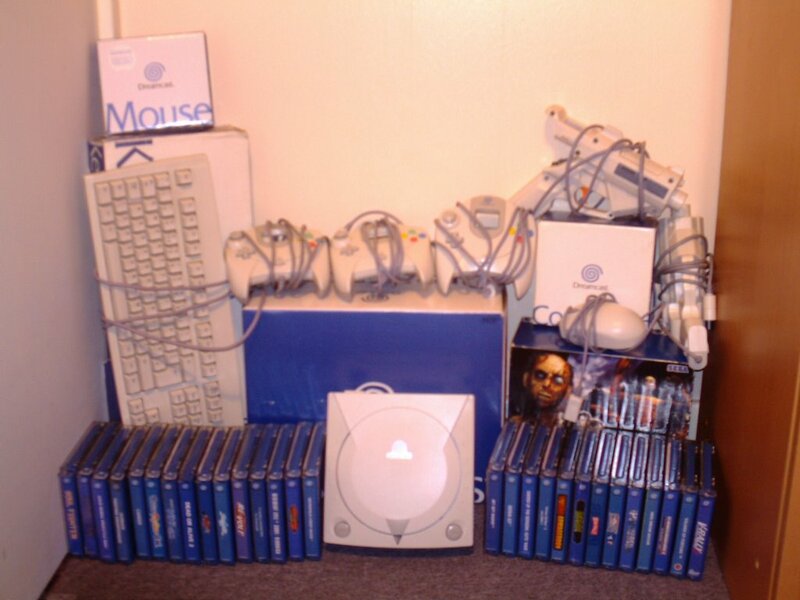 The Dreamcast Junkyard: Where having an addiction to defunct gaming is rejoiced! Are you gonna go hyper-nerd and get all the different-coloured DCs? Haha. ha ha, no, cant afford it. My new quest is to get a car so the DC stuff may be put on the back burner for a while!